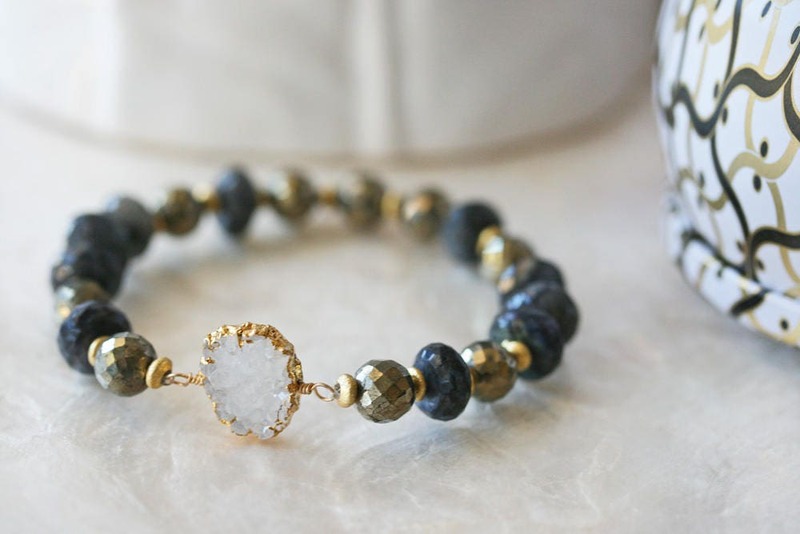 Rich tones of blue and gold create a show stopping Labradorite and Druzy bracelet. 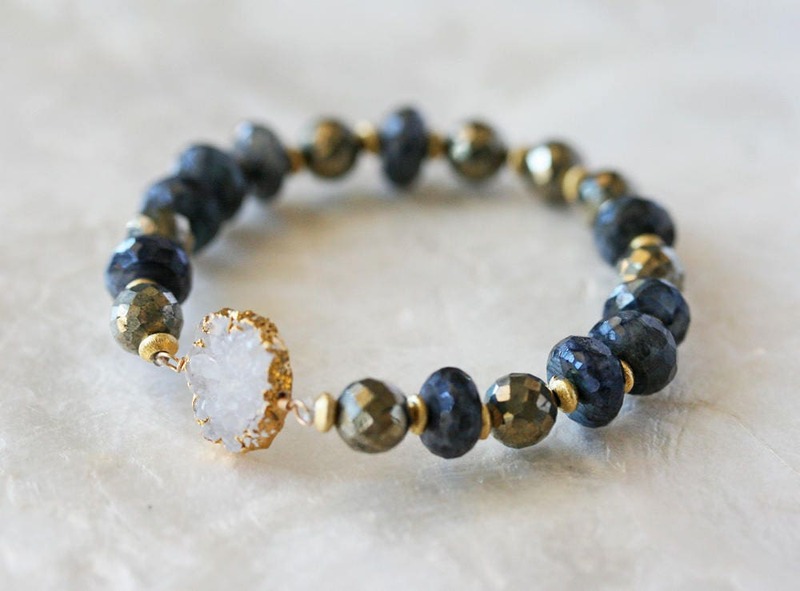 Easy to wear, this bracelet slides right on with a forgiving stretch material - no fooling around with a clasp when you are in a hurry. 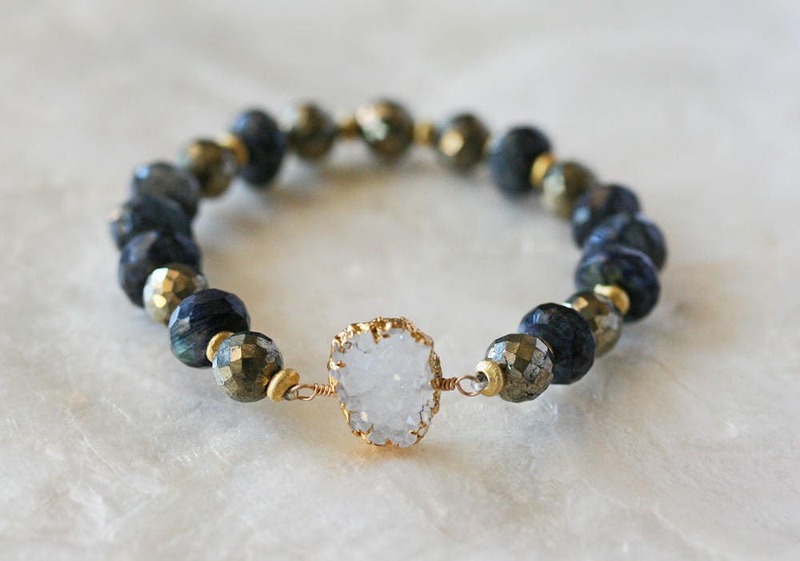 The Labradorite is a deep shade of blue with lovely green and blue flash. The faceting adds stunning depth to an already gorgeous stone. 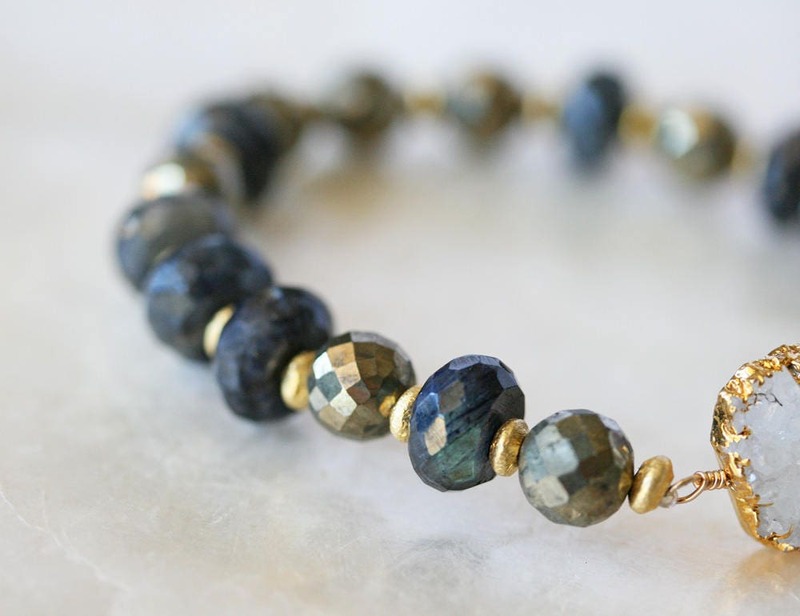 The Labradorite rondelles are pared with faceted pyrite and 22k over brass spacers. The focal is a sparkly white druzy leafed in 18k gold. 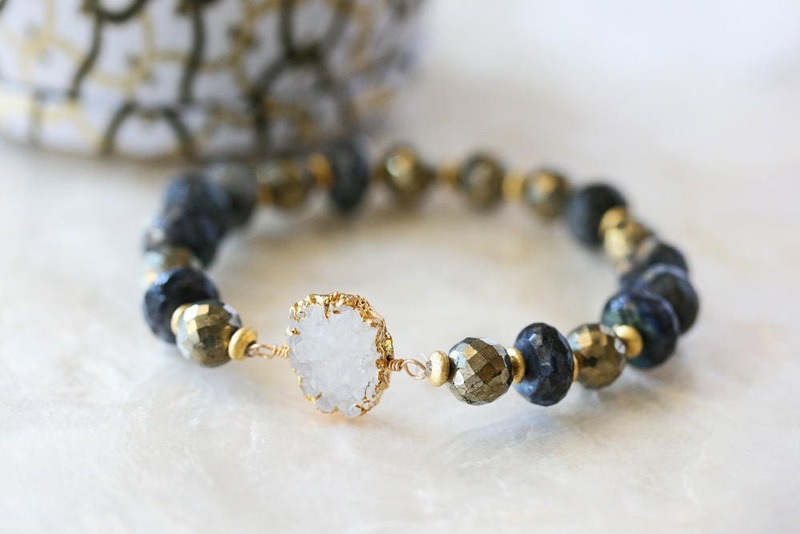 This bracelet looks lovely on its own or combine it with other braclets for an on trend look. Bracelet fits wrists 7.25 inches or smaller.